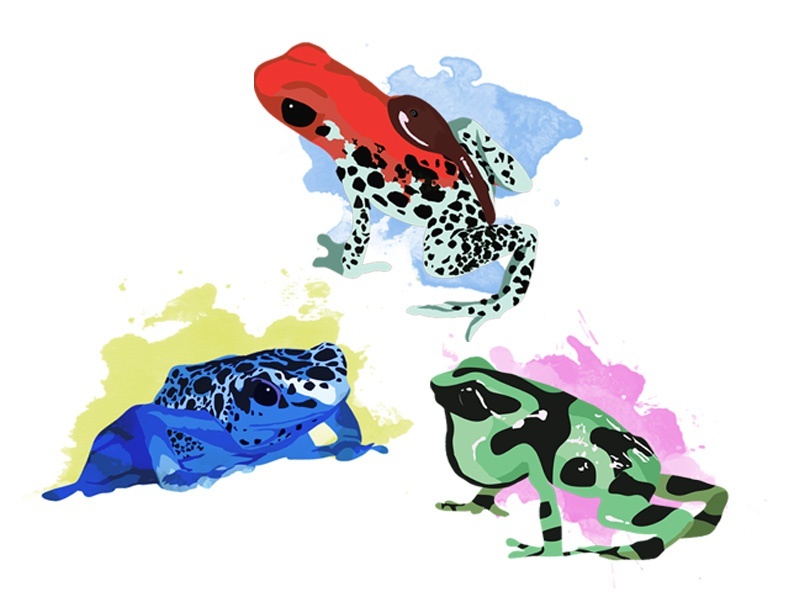 Poison dart frogs have such great colors, I couldn't just do one. These frogs created toxins called lipophilic alkaloid from the various bugs they consume. In captivity they are not given these insects and loose there poisonous nature.